Trust St Louis Building & Remodeling Company with your RESTORATION project. You rely on your roof to keep you sheltered, safe and comfortable. Ensure that your roof performs its best by working with STL Building & Remodeling Company LLC. We can handle a range of commercial and residential roofing projects, from installation to repairs. Even though we’re primarily a roofing and storm recovery company, we can assist with construction projects of all sizes, from home additions to custom home construction. Call us today or fill out the contact form to find out what we can do for you. How can STL Building & Remodeling assist you? Roofing installation, repair and replacement. Storm, Fire and Water Damage assessment and remediation. Remodeling and home addition projects. Call us today at 314-254-0008 to find out if we can handle your home improvement project. While you have us on the line, request your free estimate. We believe in doing the right thing through higher standards and integrity for our customers. Your Re-Roof Specialist will explain the construction process as well as mail the customer a copy of the building process Promptly deliver materials specified for the agreed construction date. Your representative will oversee the entire process An Owner of St Louis Building & Remodeling Company, LLC will survey the completed work to ensure quality and satisfaction. Customer is only responsible for the deductible and any agreed upon upgrades." Our service area includes: Eureka, Ellisville, Wildwood, Ballwin, Springs, Chesterfield, St. Peters, St. Charles, O'Fallon, Town & Country, Ladue, Clayton, Olivette, Kirkwood, Manchester, Maplewood, Afton, St. Louis, Sunset Hills, Fenton, High Ridge, Arnold, House Springs, Imperial, Pevely, Festus, Barnhart, South County, West County, Hillsboro, CWE, South City, Crestwood, Valley Park, Antonia, Brentwood, Richmond Heights, University City, Creve Coeur, Webster Groves, Pacific, Grey Summit, Villa Ridge, Labadie, Washington and Wentzville. Choose our experienced roofing company for your next construction project. Call us or fill out the contact form to learn more. The term "Lifetime" means the named homeowner who is the original purchaser of St Louis Building & Remodeling Company's products and installation services. The term of the "Lifetime" period shall remain in effect only if the original purchaser remains as the owner and primary occupant of the residence on an uninterrupted basis. This Lifetime Workmanship Warranty expires upon the sale of the residence, the designation of the residence as investment or rental property, or if the original purchaser is no longer the resident of the property. This Lifetime Workmanship Warranty is non-transferable. 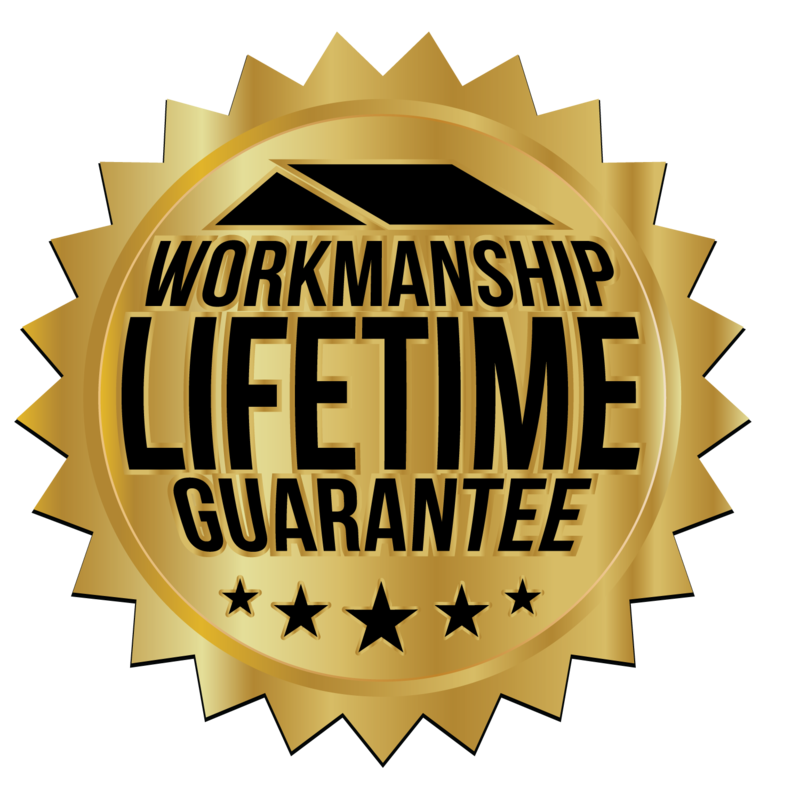 This Lifetime Workmanship Warranty covers installation according to established industry standards and covers defects caused by improper installation and or damage to the products while being applied that are caused by the installation crew. Lifetime Workmanship Warranty does not apply to painting or staining. Damage to siding, windows, roofing, soffit, fascia or rainware not covered under this Lifetime Workmanship Warranty include damage to hail, settling or shifting of structural members, structural defects of the building, fire, wind, flood, lightning or other acts of God. In addition, damage caused by intentional man made acts, unreasonable use, accident, negligence, exposure to harmful chemicals, pollutants, mildew, mold, airborne stains, or nails working out due to normal expansion and contraction are not covered. Product defects and a number of damage exclusions under this Lifetime Workmanship Warranty will be covered under your products manufacturers' warranty. Damage caused by acts of God should be covered by your homeowner's insurance. Copyright © 2019 St Louis Building & Remodeling Company LLC, all rights reserved.